Ford (F - Get Report) may have pared back on the number of sedans it's offering, but it doesn't plan to back off on how fast its vehicles can go. The automaker had a lot to show during its presentation at the North American International Auto Show in Detroit, including its fastest-ever street-legal vehicle. Let's start with the Mustang, one of the only sedans Ford plans to keep in its lineup. 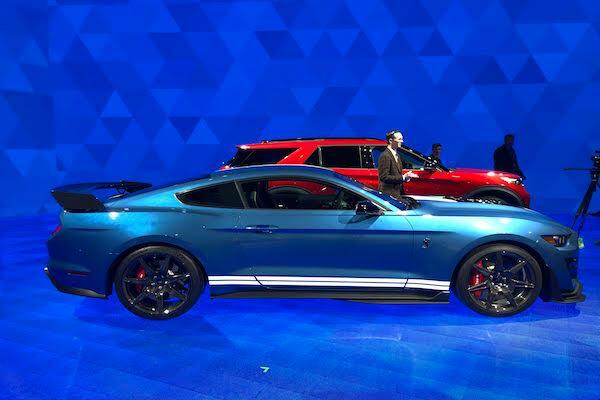 The new 2020 Mustang Shelby GT500 comes packed with at least 700 horsepower, making it the most powerful street-legal vehicle that Ford has ever produced. While many were excited to see the raw power of the new car, Mustang enthusiasts were quick to bemoan the vehicle not being available with a manual transmission option. They also weren't too keen on the rotary shifter either. Ford has since said if there's enough demand, it would consider adding a manual option. As it stands, the Mustang Shelby GT500 will come with a seven-speed dual-clutch transmission. Muscle-car fanatics will point out that the Dodge Hellcat (FCAU - Get Report) and the Camaro ZL1 (GM - Get Report) both have manual transmission options for those who prefer it. 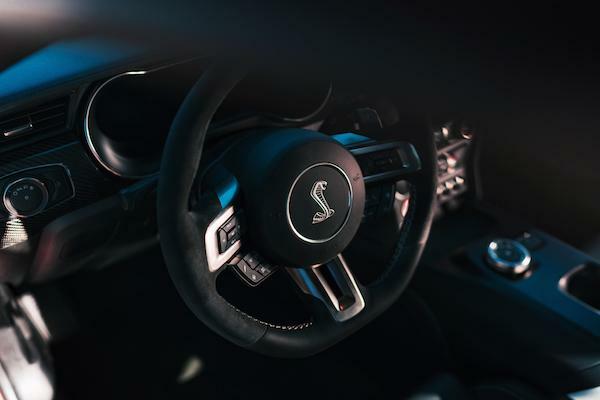 While classic Mustang fans aren't happy about the missing stick shift, performance drivers will argue that paddle shifters are better anyway. With or without these changes, there's no denying that Ford's new Mustang is a total muscle stud with impressive specs. But that wasn't the only thing on display. On the SUV side of things, the Ford Explorer also got a nice boost. 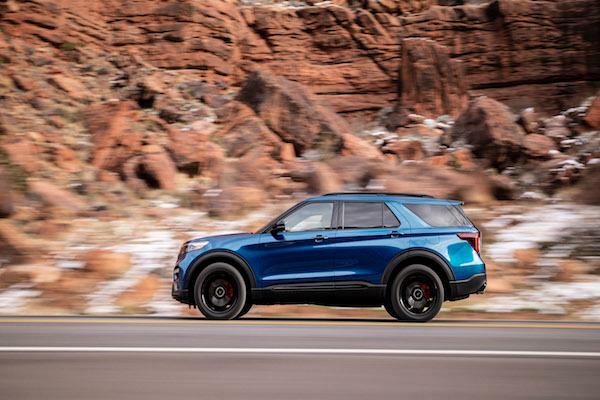 Less than a year ago, we were hearing about how the company plans to increase production of the pricey Explorer and Ford's other big SUV, the Lincoln Navigator, on account of how strong demand was. That's clearly still the case, with Ford rolling out the Explorer EV and the Explorer ST. Starting with the former, the Explorer EV is actually a 3.3-liter V6 hybrid capable of going 500 miles before needing to be refueled. That's a massive benefit to those who spend a lot of time behind the wheel toting around family members all day. The SUV kicks out 318 horsepower, utilizes a 10-speed automatic transmission and operates in both rear-wheel drive and all-wheel drive. The Explorer ST takes up the performance a notch...OK, a few notches. After unveiling the Ford Edge ST at 2018's Detroit Auto Show, it was time for another update. The Explorer ST comes equipped with a 3.0-liter EcoBoost V6 and kicks out 400 horsepower and 415-lb. ft. of torque. The ST will also come with a black mesh grille insert, skid plates, performance brakes and other badges that imply its sporty capabilities. For now, Ford is remaining tight-lipped on pricing for all of its new introductions, but I wouldn't expect them to come cheap.